Corporate Video Production is a powerful marketing tool. 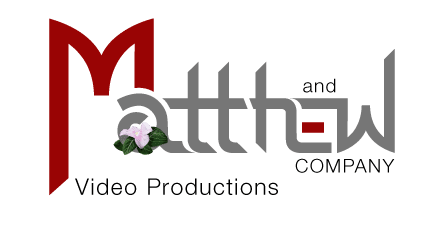 Matthew and Company has worked with some of the largest corporations in the United States, Mexico and Europe to create dynamic corporate videos. Especially relevant are corporate reports, live web streams, promotional web videos and inspirational team building videos. We operate from two locations, Texas and Virginia. With more than 25 years of experience in the corporate industry, we know how to showcase your business. Whether it’s interviews, product promotion, live video streaming or multi-camera events, MAC gets it done on time and within budget.  Our experienced team is there to assist companies with concept, outline, script writing, production scheduling, production and editing. So many times clients come to us and don’t have the time to develop concept and write their story. That’s not a problem. Our in-house marketing team will develop a creative concept, outline and script. Once approved by your team, we will construct a production schedule and start the production process. Some of the corporations we have produced corporate videos for are ExxonMobil, General Motors, Jaguar, Cadallic, Deltronicos, Mexico, LCRA, Levi Strauss and Co., DOW Chemical, NBC Dateline, Miss USA-NBC, Norton Company NOVA/Discovery, Pratt Whitney, Price Waterhouse, Siemens Wireless, TECO Westinghouse, Tandem Computers, IBM, Granda ITV, BBC, CSPAN, NHK Japan Broadcast Group, Rolls Royce Group, U.K., SONY Corp Japan and Texas State University. Our experienced production crew works all over the world. World Television located in London, England contracted with us to shoot various locations for their client, Trafigura. Some of those include Corpus Christi, TX, Burnside, LA, Lima, Peru, Rio de Janeiro, Brazil and the Bahamas. Each one of these videos revolved around interviews from key Trafigura employees and B-roll of the commodities being processed. Regardless of the location, our team was able to bring the same look and feel to all of the videos we participated in shooting. Once the interview was complete, we began to capture various B-roll shots of skydivers dressing, skydivers walking from the hangar to the airplane, and actually jumping from the plane. Aerial images of the skydivers actually jumping from the plane were captured by our partner company, HDaerial. The next job was to capture the skydivers as they opened their parachutes and began their decent to an open field on the Dell Round Rock Campus. We also captured footage of excited employees as they watched with delight as the skydivers descended. Our experienced production crew worked on this dynamic multi-camera shoot for the Dell merger with EMC to complete the Dell Technologies consortium. We were contacted by EMC TV to work with them on capturing video footage on and above the Dell campus in Round Rock, TX. This corporate video has now become part of their web video explanation of who they now are and what their combined capabilities will mean to the integration of technology in our everyday lives. We did a four camera interview of Jeff Clarke, Vice Chairman of Operations and President of Client Solutions for Dell. When you think of Rolls Royce, you typically think of a really nice car. Well, this job took us out to Tucson, AZ and it wasn’t a car we were shooting. This was a multi camera ground air video production. We were hired by Rolls Royce to film the new Trent 1000 engine going through some of its testing paces. This 4 camera video shoot; 2 cameras on the ground covering take-offs and landings, 1 camera in a fixed wing jet flying along the side of the Trent 1000 engine and 1 camera mounted in a Cineflex V-14 on the nose of a Eurocopter AStar 350 B2 kept us busy for 3 days capturing all the footage we could of this incredible new engine technology. We have over twenty years of experience with ground, aerial photography and aerial cinematography. Our team is the best at coordinating all facets of production to safely capture the images your project requires. We will use the best cameras for ground shots and use the best gyro-stabilized solutions for aerial filming. We will also bring together the very best production crew in your market to accomplish the job. An impressive corporate video presented on your website will depict who you are and communicate your message. Furthermore, we can educate your audience, inspire and motivate them, win hearts, and move product. As a result, we have accomplished our job. SXSW always brings out the creative and innovative. Every year we pick up one or two video production jobs in Austin, TX during SXSW and we never know what to expect. This year we were hired by MTV Viacom to shoot time lapse of the 3M at SXSW exhibit build out. We also shot traffic coming and going throughout the week long event and the closing DJ performance at the end of the week. The whole 3M at SXSW exhibit was comprised of new and innovative technology from 3M…even the walls. It certainly made for a fascinating time lapse shoot for sure. We also had an opportunity to use our MoVI to grab some great gyro stabilized images as we moved through the crowds in the exhibit.